The cruel and heartless hand of the urban planner forced fourteen-year-old Billy March and his family to leave their home in the city and settle in the suburban new town of Invicta Cross. Initial prospects for a fresh start soon dashed, Billy watched as his family was destroyed by petty-minded and hostile neighbours. Though he managed to befriend a young girl as damaged as himself, he experienced pain that changed his life forever. Ten years later, as Invicta Cross is voted Britain's Favourite New Town, a smart young married couple move into the area. Glamorous and wealthy, they're instantly popular with the neighbours. Then the vicious pranks begin... As one neighbour after another goes missing, no one suspects that the perfect couple in Balmoral Close might know something more than they're telling. Then a suspicious reporter sets out to discover the truth. 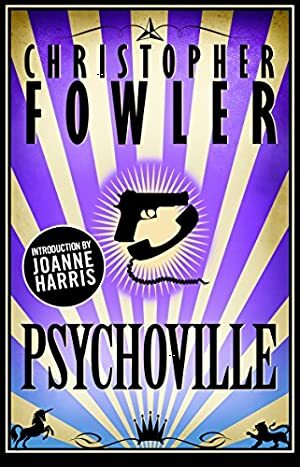 Psychoville is a suburban nightmare that delves behind the net curtains to reveal the truth about housewives, bloodstains and the damage you can inflict with a Morphy Richards iron. The price of this book has changed 6 times in the past 1,152 days. The lowest price to date was £1.99 last reached on September 28, 2018. This book has been £1.99 3 times since we started tracking it. The highest price to date was £2.99 last reached on September 15, 2018.